Kalamazoo, MI September 7, 2016 – The Kalamazoo Symphony Orchestra, under the baton of its Music Director Raymond Harvey, will open their 96th season with a program featuring Schelle, Hindemith and Tchaikovsky. Internationally renowned, and Grammy Award-winning, pianist Yefim Bronfman will be performing Tchaikovsky’s 2nd Piano Concerto. Bronfman is recognized as one of today’s most acclaimed pianists; his commanding technique, power, and exceptional lyrical gifts will be on full display in Tchaikovsky’s second piano concerto. Mr. Bronfman was also a guest artist for the 2016 Gilmore Keyboard Festival. Maestro Harvey will open the evening’s performance with the music of Michael Schelle and Paul Hindemith. Schelle dedicates each movement of Spirits to an “infamous Hoosier”—Rev. Jim Jones and James Dean. Paul Hindemith’s masterpiece Mathis der Maler draws inspiration from Grünewald’s Isenheim Altarpiece and explores the role of the artist within society. This concert will also serve as the much anticipated unveiling of the KSO’s new Steinway D Concert Grand piano, which was made possible by the incredible generosity of an anonymous donor. The KSO is proud to announce that Steinway & Sons President & CEO, Ron Losby, will be present for the inauguration of the new piano and will make an appearance on stage. At the center of this season is a residency with the Staatskapelle Dresden which includes all the Beethoven concerti conducted by Christian Thielemann in Dresden and on tour in Europe. Mr. Bronfman will also be performing Bartok concerti with the London Symphony Orchestra and Valery Gergiev in Edinburgh, London, Vienna, Luxembourg, and New York. Recital performances will capture audiences with the cycles of the daunting complete Prokofiev sonatas over three programs in Berlin, New York's Carnegie Hall, and Cal Performances, Berkeley. As a regular guest, Mr. Bronfman will return to the Vienna, New York and Los Angeles philharmonics, Mariinsky, Cleveland and Philadelphia orchestras, as well as the symphonies of Boston, Montreal, Toronto, San Francisco and Seattle. Following the success of their first US tour last spring, Mr. Bronfman will rejoin Anne-Sophie Mutter and Lynn Harrell in May for a European tour that takes them from Madrid to Berlin, Moscow and Milan. Mr. Bronfman was awarded the Avery Fisher Prize in 1991, and the Jean Gimbel Lane Prize in piano performance from Northwestern University in 2010. He has been nominated for three GRAMMY® Awards, one of which he won with Esa-Pekka Salonen and the Los Angeles Philharmonic for their recording of the three Bartók Piano Concerti. Born in Tashkent in the Soviet Union on 10 April 1958, Yefim Bronfman immigrated to Israel with his family in 1973. 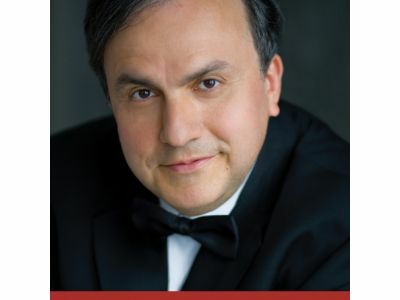 For their opening concert of the 2016-17 Symphonic Series, the Kalamazoo Symphony Orchestra, conducted by Music Director Raymond Harvey, presents internationally renowned pianist Yefim Bronfman performing Tchaikovsky’s Piano Concerto No. 2. Maestro Harvey rounds out the program with the music of Michael Schelle and Paul Hindemith. $5 Student Rush tickets, and $10 Harvey’s Hideaway seating available at the box office the night of the concert.